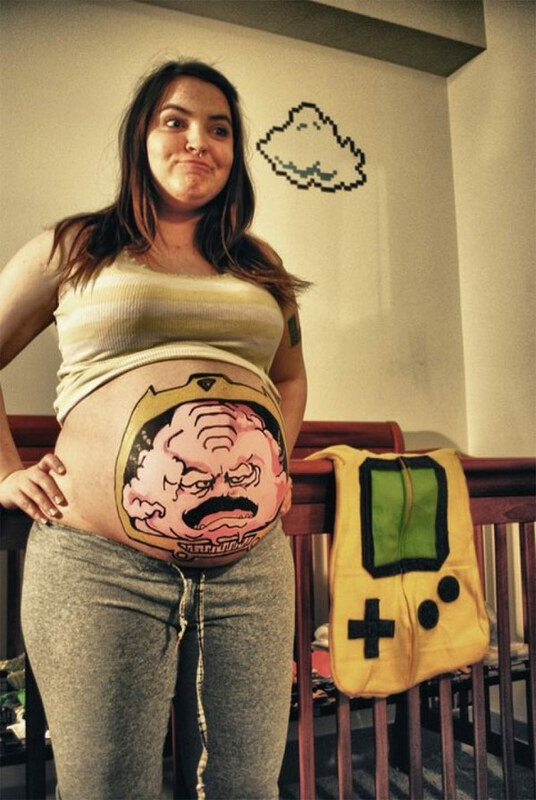 Exactly what it looks like. 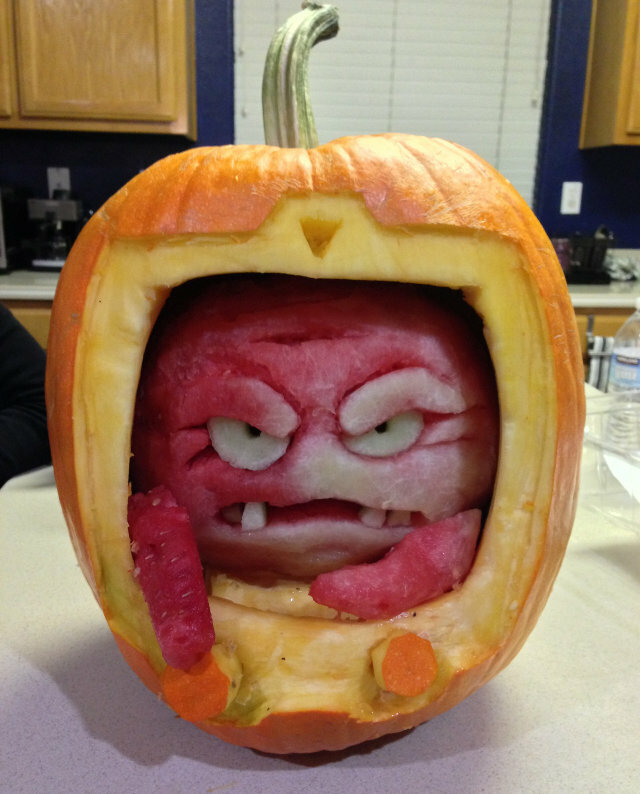 it’s a Watermelon, and a Pumpkin carved to be Krang. The evil extra dimensional emperor, and Buddy of all around bad dude Shredder. Top marks for Halloween. Carved by Artist Mike V, this is fantastic! This does make me feel bad about how horribly my carving this year came out. Just bad overall. And the worst part is it didn’t even make it to Halloween, the thing dried out overnight!